I grew up in York County, Maine. Definitely my favorites are the 1926 Sesquicentennial coins, Half Dollar and Quarter Eagle. Other good ones are the 2014 Baseball hall of fame coins and the 1982 George Washington Half Dollar. That's a very difficult question. There's a lot to choose from. For a Modern Commemorative, I choose the 1994 P.O.W. Museum. Maybe it's because of my age but it marks an important period of U.S.A history. For an Early Commemorative I go with a 1936 Oregon Trail, nicely toned. This is just my opinion. I could be wrong. Also it changes quite often. Based primarily on the story and or stories that surround their issuance, twice, with two different bills in Congress in two different years, I'd have to pick the California Pacific International Exposition half dollars of 1935(S) and 1936(D). You might call them San Diego halves, but then you'd be technically incorrect. Also. these coins were largely held in two massive hoards, one for each year. How about second favorite commemorative of all time? Another awesome one is the 1999 George Washington death bicentennial gold $5. It's a sad occasion, but it features a very nice portrait of George Washington. It was one of the runners-up of the Washington Quarter designs. This design is by Laura G. Fraiser, the wife of James Fraiser, who designed the buffalo nickel. Laura Fraiser also designed one of my other favorite commemoratives, the Grant Half Dollar. Texas (1934 through 1938) and not just because it a great state, both sides are historical, dramatic, patriotic, and artistic. I like it so much; I made it part of my Logo, just one fantastic coin. 2nd Choice the Panama Pacific half of 1915 I think it is better looking than the Morgan dollar, and or modern Silver Eagle just one very classy coin. I have always loved the 1915 Panama Pacific Exposition $50 gold pieces. If the mint goes ahead with plans to issue half-eagle versions of these coins next year, I plan to be first in line to get them! 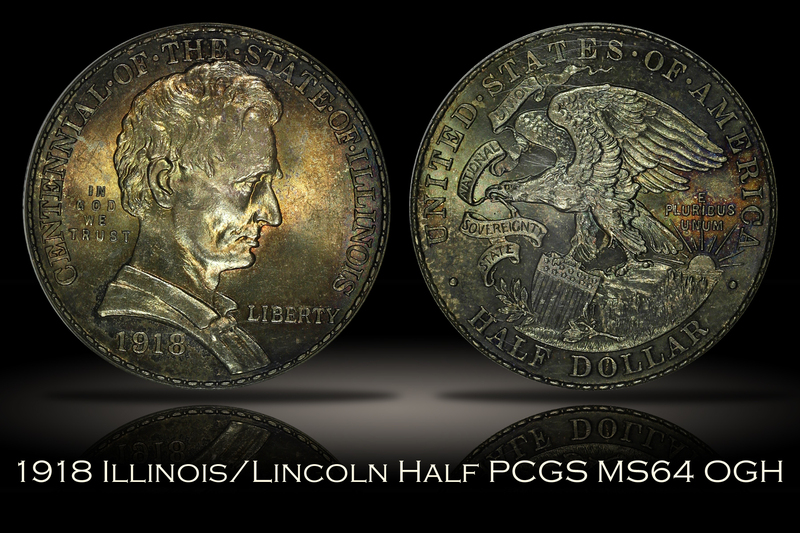 My favorite is the 1918 Illinois Centennial Commemorative Half Dollar.